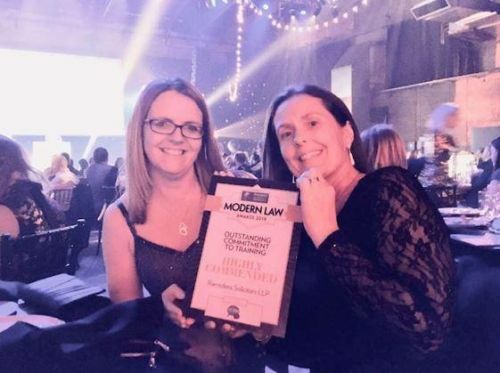 We are delighted to announce that we were Highly Commended in the 'Outstanding Commitment to Training' category at the Modern Law Awards 2019. Other finalists in the category included Bailoran Solicitors, DC Law & JS Law, High Court Enforcement Group Limited, JMC Legal Recruitment and My Home Move. "We’re proud to be shortlisted at the Modern Law Awards for our commitment to training. Our staff are what makes Ramsdens the firm it is and investment in training and development is not only good for our people, its essential for our business. Well done #teamRamsdens."